We live in a news culture that presents the most tragic sound bites of world events, from one catastrophe to the next. Although necessary and powerful representations at times, the collective unbalanced negative imagery of the developing world has desensitized many of us to the problems they face. Poverty is visible for all to see, but what is often more difficult is seeing individuals — the dignity, beauty, splendor and hope that can be found in the human spirit — regardless of circumstance. Leslie Alsheimer, author of Black and White in Adobe Photoshop CS4, is most known for her deeper perspective documentary essays addressing the human condition worldwide. 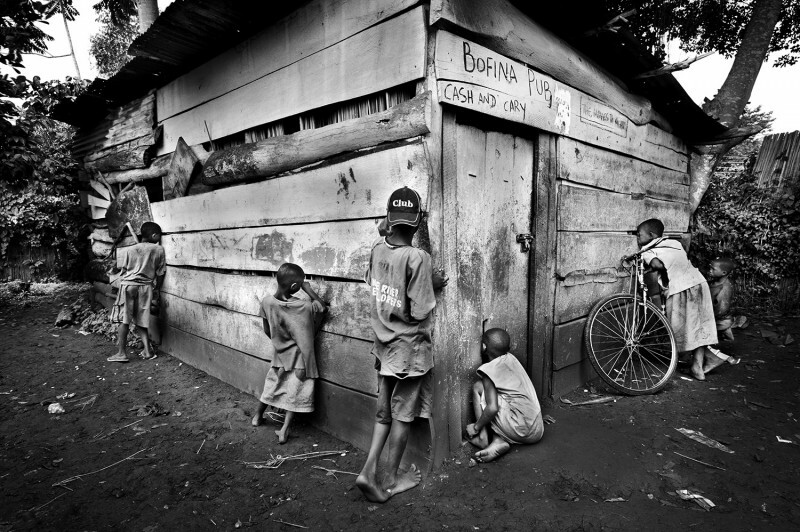 Her work — spanning editorial, fine art and documentary genres — was recently honored by UNICEF: 2010 Photo of the Year Awards. Leslie’s work celebrates the beauty and splendor that can be found in humanity, regardless of circumstance. With images, she creates metaphors that honor the richness of life that accompany the enduring human spirit; celebrating life, play, family and culture through the joy, pain and love of everyday living.